Now that Valentine's Day is done, we are starting to decorate for St. Patrick's Day! 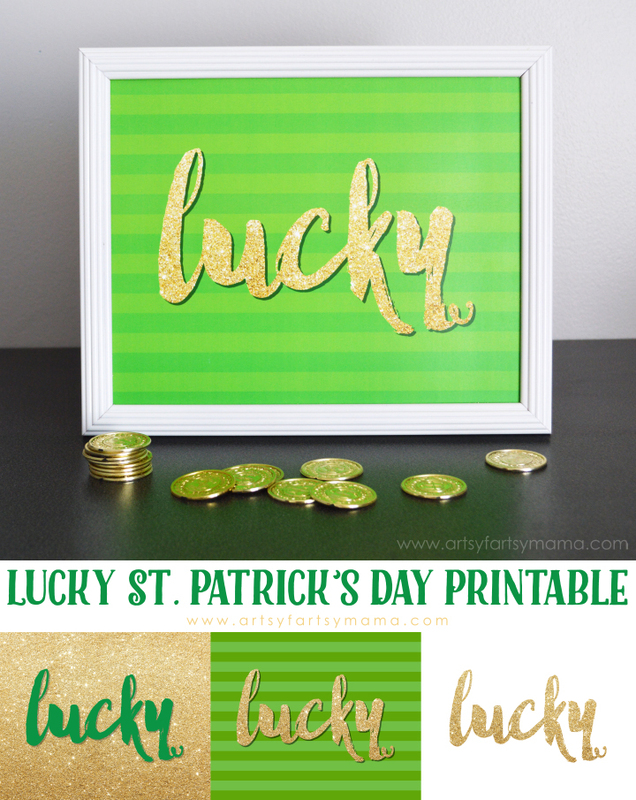 I wanted to add a little more green, gold and a bit of sparkle to my decor, so I created a "Lucky" St. Patrick's Day printable that I'm excited to share with all of you! 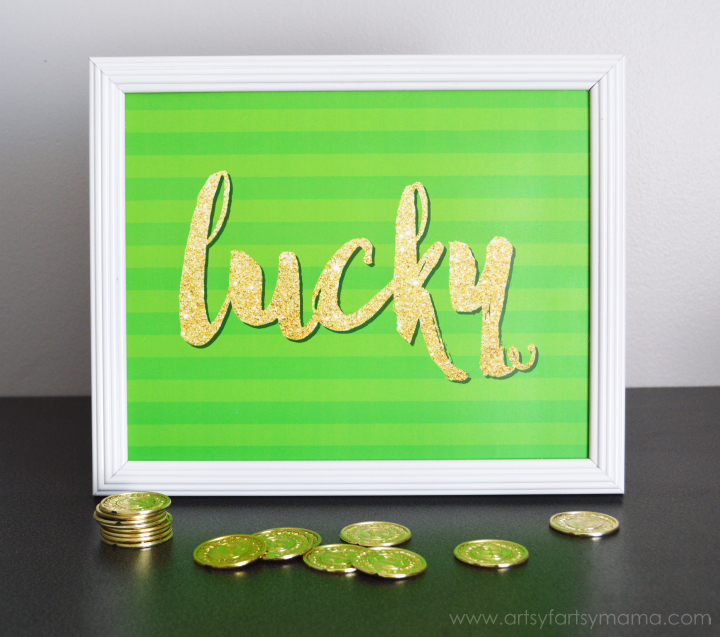 There are 3 different colors that you can download: green, gold glitter, and white - all with the word "lucky". This printable doesn't just have to be for St. Patrick's Day either! You could easily display this printable year-round. Super, super cute printable! I love those bright green colors and that fun glittery gold! Thank you for sharing! PINNED!